Our acreage of Gewurztraminer Gueberschwihr was reduced dramatically after doing a few swaps in order to obtain more Muscat in the Goldert Grand Cru vineyard. This little survivor is located not far from the Grand Cru, but on a quite different soil type: much deeper, richer silt/limestone soil. Nonetheless, realizing that it was alone now, this little parcel decided to show us what it was capable of! The harvest was easy, everything was very ripe, with a high proportion of noble rot. The fermentation in a small wood cask (foudre) was eventless and naturally this wine finished with a significant amount of sweetness. 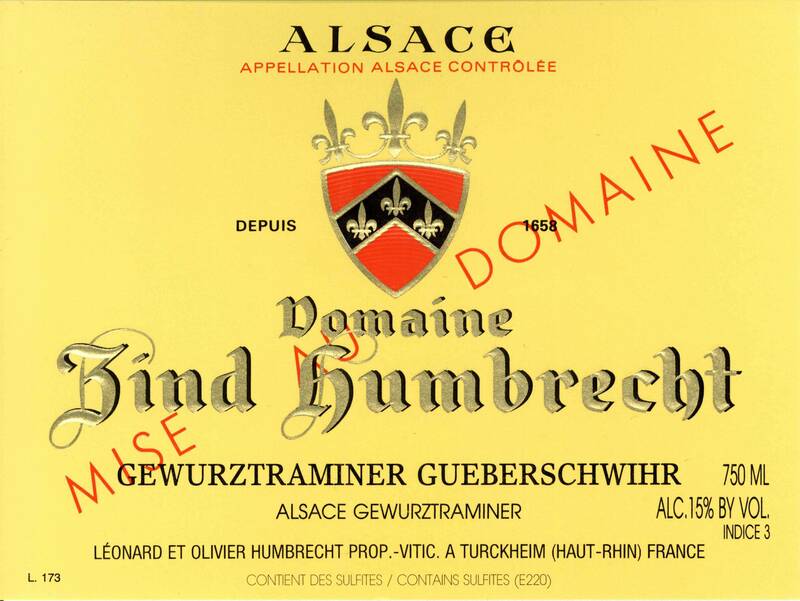 There is no doubt that it will take a lot now, for us to drop this little last piece of Gueberschwihr Gewurztraminer. 1/2008: the nose is spicy, intense, in your face style. It would almost be too much if the cooler climate and calcareous influence wouldn’t bring some more classic structure and spicy aromas. The palate is rich, dense, clearly showing the botrytis influence. Sweet round finish. A pleasure wine!